Amazon's voice assistant, which started as the centerpiece to the company's Echo smart speaker line, is expanding into the kitchen and car. Watch a video of the Amazon Basics microwave's latest update: an Alexa button. (CNN Money) — Your living room was only the beginning for Alexa. Amazon’s voice assistant, which started as the centerpiece to the company’s Echo smart speaker line, is expanding into the kitchen and car. The company kicked off the smart speaker category in 2014 with the release of its first Echo smart speaker and has dominated it since. 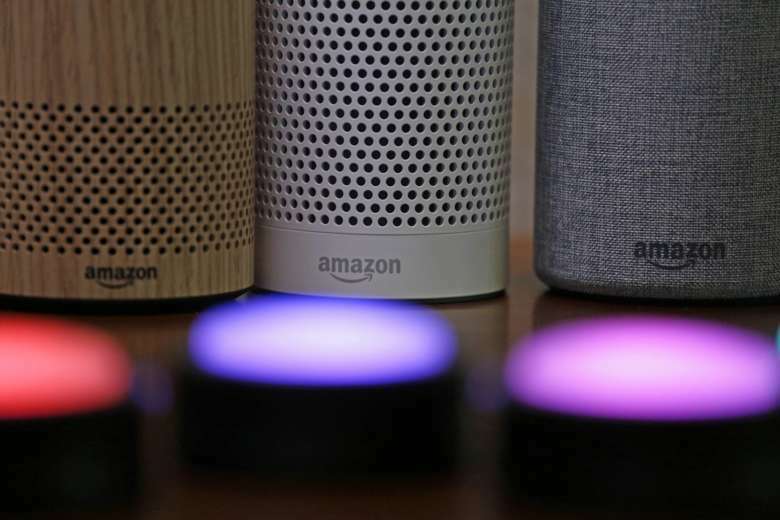 The Echo is the most used smart speaker in the United States, followed by Google Home, according to eMarketer. Apple and Microsoft have also tried to get into the smart speaker game. Amazon showed off a handful of Echo devices — one of which doesn’t even come with a built-in speaker — at a press event on Thursday in Seattle. The Echo Input ($35) is a coaster sized device for adding Alexa controls to existing speakers. Unlike the similar Echo Dot, the Input doesn’t have a speaker itself, but it does have always-listening microphones. It can be paired with existing speakers through Bluetooth or a 3.5mm audio jack. Amazon is selling it on its own, but it will also come bundled with some third-party speakers, the company said. It will launch later this year. The new Echo Sub ($130) is a wireless subwoofer in the shape of a HomePod, designed to work with other Echos for deeper bass and surround sound. You can now take two regular Echos and turn them into left and right speakers, with the Echo Sub or on their own. It will be available later this month. The Echo Link Amp ($300) and Echo Link ($200) are amplifiers without built-in microphones or Alexa powers. Instead, they “link” up to other Echos to work and stream music to existing stereo systems. The Echo Auto is a new gadget that puts Alexa in the car. A small black rectangular device with microphones, it mounts on top of the dashboard. It connects to the car through an auxiliary jack or Bluetooth, and connects to the internet via your phone to access services such as music streaming. It has location awareness, which allows it to do things like give directions or trigger smart home routines as you’re pulling up to your house. It can also integrate with your phone to bring up visuals like maps. The device will cost $50 eventually, but for now it is invite-only and will cost $25. The countertop Echo Show has a new look. It has a bigger 10-inch display and adds Skype integration, internet browsers — the Amazon Silk browser and Firefox — custom apps based on the most common Show requests, and new third-party apps made specifically for the device. Just like its predecessor, it costs $300 and starts shipping next month. YouTube hasn’t been available on the Show since Google yanked it last year, but a host of new features should compensate for its absence. You can now navigate to YouTube on the Show’s browsers. The Show is integrated with Hulu and NBC for live and on demand watching, and music video platform Vevo for music videos. It will also work with the new Echo Recast, a DVR device for recording live TV and watching it on the Show and Fire TV products. Say “Alexa, one potato,” and the AmazonBasics Microwave ($60) will help you whip up dinner, and it’ll even know just how long to cook it for. The company took its most popular Amazon Basics microwave and added an Alexa button, but not microphones or internet access. You have to tell an Echo to add time to the microwave, or ask it to stop. The microwave also has Dash integration, which lets you order something directly from Amazon, like more popcorn. See a video of the new feature below. You can hang Alexa up on the wall now in the form of a $30 wall clock that can set and manage timers, as well as tell time. Like the microwave, the clock doesn’t have its own microphones. You control it with your existing Echo speaker or the Alexa app. It ships later this year. The Echo Dot is the most popular Echo, and “the best selling speaker ever” according to Amazon. The company has slightly redesigned the Echo Dot. It now features a fabric covering and a rounded shape. It looks like a tiny ottoman (and a Google Home). Amazon says the device will have better, and louder, sound. The Echo Dot will continue to cost $50. The taller Echo Plus, which is also a smart home hub, is getting a similar makeover, adding a temperature sensor, and keeping its $150 price tag. Amazon says it’s been working on improving Alexa’s conversational skills and personality. It will be rolling out some related software updates to Echo users over the next few weeks. For example, it will soon be able to detect when you’re whispering, like if you’re asking for a lullaby, and whisper back. The Echo Dot for kids, announced in May, is getting even more kid-friendly. Amazon is adding more popular children’s podcasts, such as Story Pirates, and a thousand audio books. It’s also adding a combination of commands. For example, by saying, “Alexa, bedtime,” a programmed device could turn off the lights, play a lullaby and set the temperature to 65 degrees.